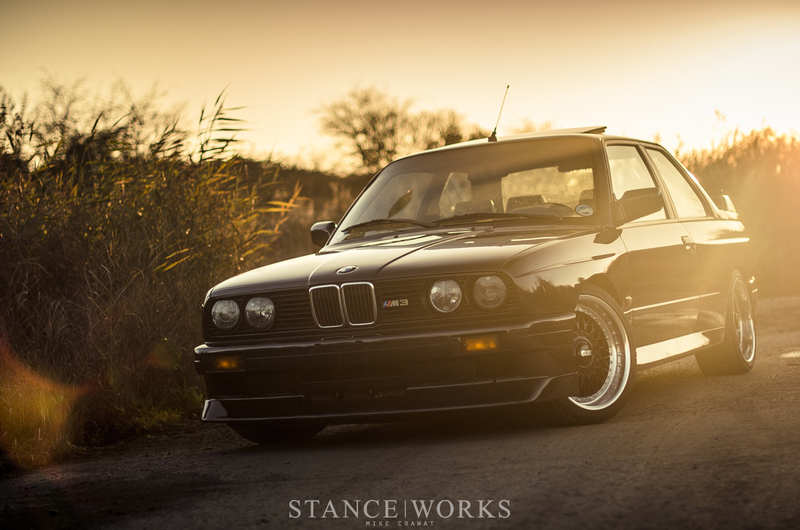 Classic BMWs have, in the past two years alone, multiplied in value. These beloved old coupes and sedans of ours are growing harder and harder to find, and when they do surface, they simply don't cost what they once did. Lucky finds of $500 E30s are few and far between, and snatching up '80s-era BMWs as a weekend hobby has been relegated to those with deeper pockets than our own. 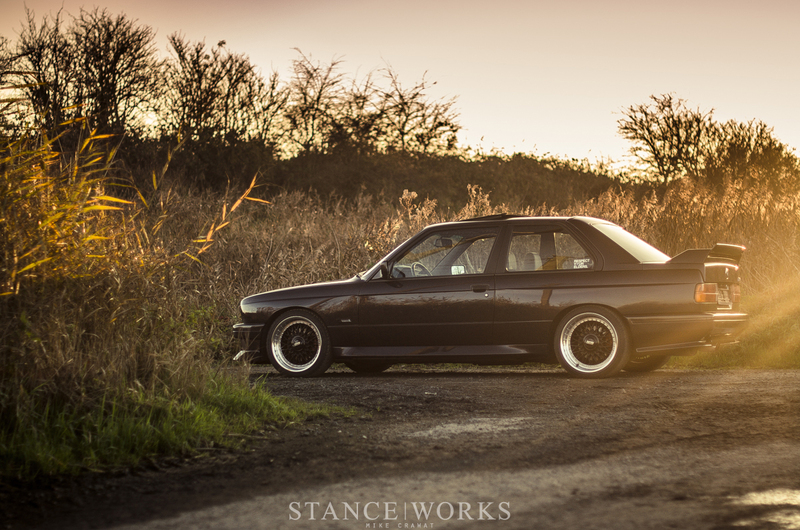 However, few cars have bubbled quite like BMW's E30 M3. With each passing month, the average eBay for-sale ad climbs in price by thousands. Of course, it's great to see these iconic cars rise to prominence and to appreciate in value; but for those of us without the ability to justify a $30,000, $40,000, or $50,000 vintage 3-series, our hopes of owning the original M3 are fleeting at best. The M3's purebred performance, rich racing history, and its representation as the dawn of the M3 lineage as a whole have all contributed to its inflation, but perhaps one aspect remains prudent above all others: low production figures. With just 16,202 cars built, the E30 M3 is by no stretch a "common car," and after suffering just shy of 30 years of attrition, it's hard to say how many may be left. 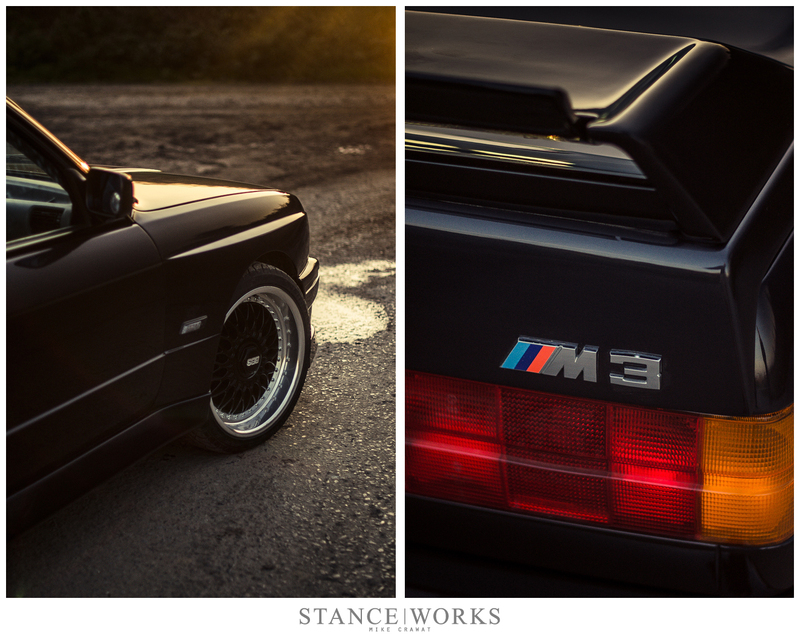 While most cars fell under the standard production model, there Eleven variations of the E30 M3 in all. Four versions were standard production models: three Euro-spec variations with changes to the catalytic converter, and the North American variation. The next three models were the Evolution I, II, and Sport Evolution. Lastly, there were four "special edition" cars: The Tour de Corse, the Europa Meister 88, and lastly, the Roberto Ravaglia and Johnny Cecotto editions, which make up a mere 505 cars of the total 16,202 built, each numbered and signed. Johnny Cecotto is famed for his racing efforts on both two wheels and four. 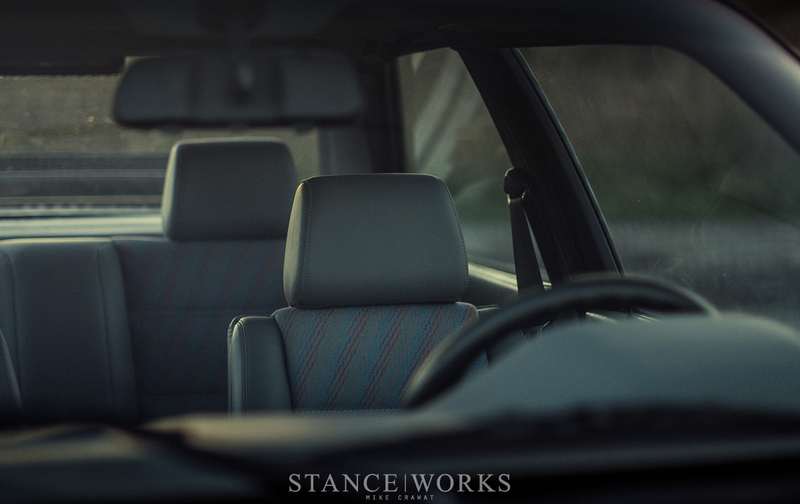 Few drivers make the transition from one to the other, and even fewer do so successfully. Cecotto earned the title of youngest World Champion ever at just nineteen years old, as a result of winning the 1975 350cc World Championship, and more, holding numerous other motorcycle racing records, such as one of the highest pole position-per-starts ratios in Grand Prix history. Cecotto moved on to four-wheeled racing, where he found himself driving in Formula Two beginning in 1980. Come 1982, Cecotto had began his relationship with BMW, continuing to drive in Formula Two; this time, however, with the March-BMW team. Cecotto won three races that year, tying him for first place with this teammate, Corrado Fabi. A tie breaker pushed Cecotto to second place, but his finish was still enough for him to graduate into Formula One. Cecotto's Formula One career had its ups and downs, but was likely highlighted with having raced along side Ayrton Senna in 1984 aboard the Toleman Racing team. A 6th place finish at the 1983 US Grand Prix West in Long Beach, California, was his career best. Perhaps he would have continued to greatness, but a crash during qualifying at the British Grand Prix broke both of Cecotto's legs, which ended his Formula One career. 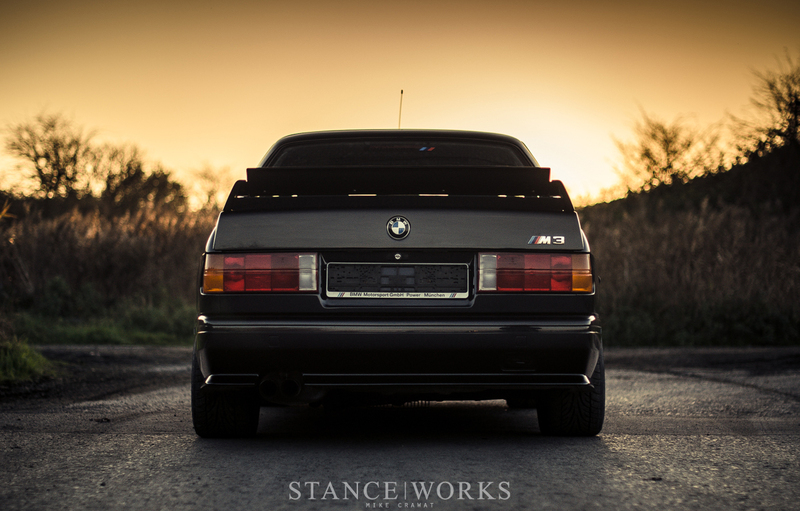 After recovery, Cecotto's relationship with BMW began to flourish. He joined Schnitzer's motorsport team, piloting their 635 along with Dieter Quester, taking home a second-place finish at the '85 Spa 24 Hours, giving BMW a powerful 1-2 win. A second-place finish at Bathurst that season afforded him the "Rookie of the Year" title alongside co-driver Robert Ravaglia. After a brief stint in '86 with Volvo, Cecotto returned to BMW once more, this time to compete in the World Touring Car Championship in BMW's new E30 M3. By 1989, Cecotto had captured the Italian Touring Car Championship at the helm of the little BMW. In 1990, his second year of competition in the German Touring Car Championship, better known as DTM, Cecotto finished second overall, helping to cement BMW's history of DTM dominance. His successes continued, and in '94 and '98, Cecotto won the German Super Tourenwagen Championship twice more for BMW - and the above only touches upon his racing history with the brand. 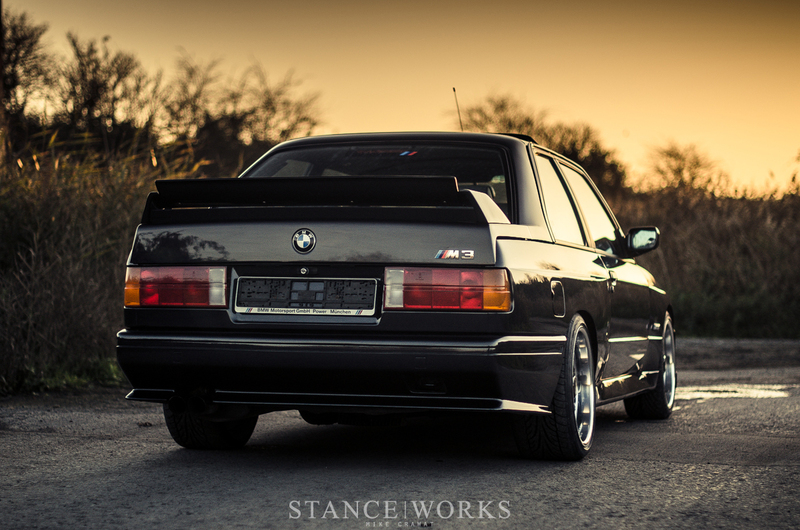 Cecotto's successes and victories for the brand were worthy of celebration, and in response, BMW introduced the special edition E30 M3 in his honor. Debuting in 1989, the individually-numbered Cecotto Edition M3s were available in only three colors: red, silver, and a dark metallic blue, seen here. At its core, the car is similar to its standard production counterparts, but with one immediate difference: a bump in horsepower. Launched with a 215-horsepower catalytic-converter equipped engine, the Cecotto set a new standard for M3 performance. Only those with keen eyes may initially pick the Cecotto Edition cars out of a pack. Tidbits such as thinner rear window glass, chrome tailpipes, and black-centered alloy wheels provide the only hints from the rear. From the front, a lack of brake ducts tell tale. Inside the car, the Cecotto Edition cars received special treatment, with grey or silver M-Technic cloth lining the seats and door cards. On the center console, each car is equipped with an individually numbered plaque to identify each car. Numerous special-order M3 options were found standard on the Cecotto Edition, landing it as the top-tier offering at its time. 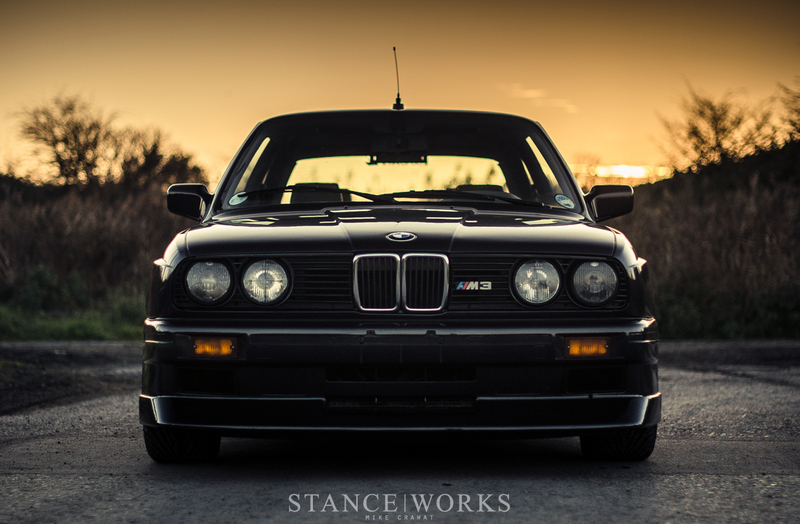 The value of E30 M3s continues to rise; not only monetarily, but historically. 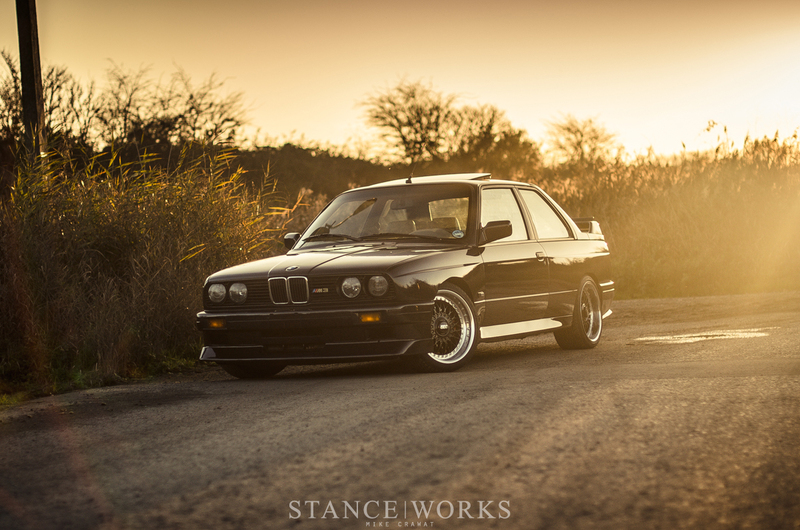 Johnny Cecotto and his namesake offer something rich to the car's already-thick history, and while there's little chance we'll find a Cecotto Edition M3 of our own, there's solace in knowing that there's at least one in the hands of a StanceWorks reader. 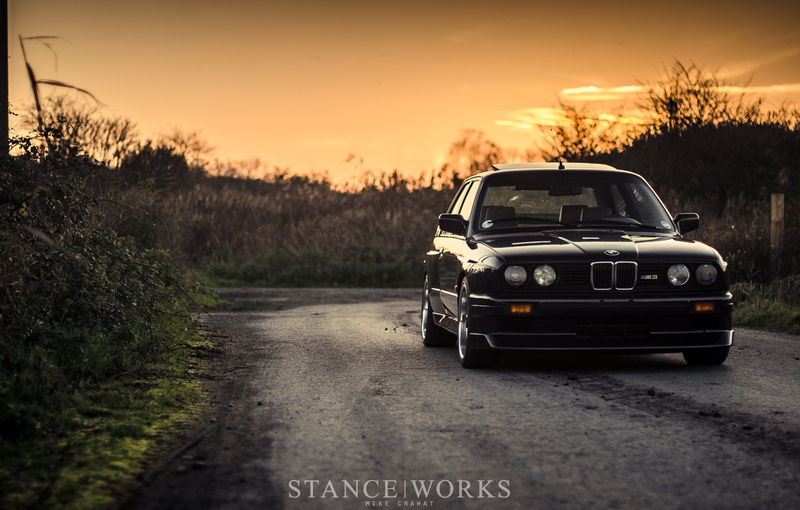 Beautiful piece of machinery here. Great video and great car. So, no words on the feature car itself. dark metallic blue? Wow – I still can’t find any hint of blue in any of those pictures – perhaps the setting sun? Great article though either way! Great, now a bunch of stance kids are going to act like they know who Johnny Cecotto is. Scott Woltman; The color is blue, but it’s very difficult to capture in a picture! And it varies very much with the light. When the light is dim the car looks black, and when it’s under good lighting it looks like a bright purple. I think it’s a beautiful color. I added a link to my car where you can see the color in daylight. @Radek The paint looks fine. If you’re drawing your conclusions from the picture of the rear panel and wing, you’re just seeing the soft focus of the photo. 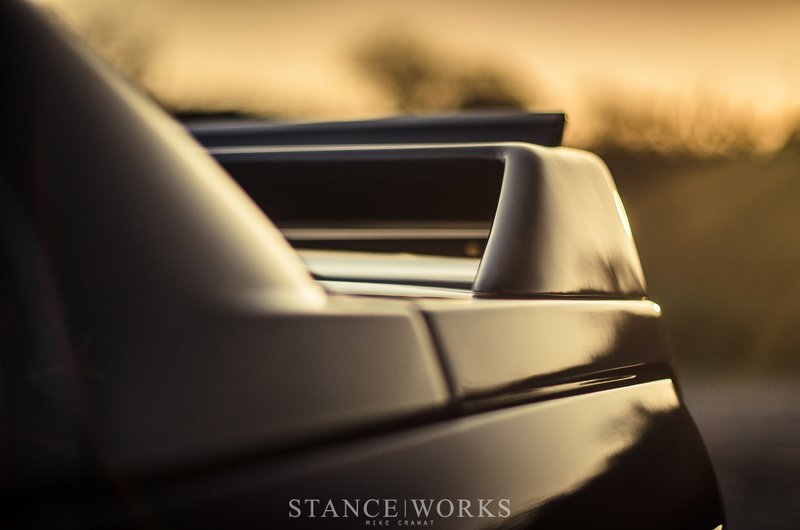 Only the very closest part of the wing is in focus because of the low aperture. @Confused The limited edition paint and seats were mentioned, what is there to say, other than going over stock specs from 30 years ago? 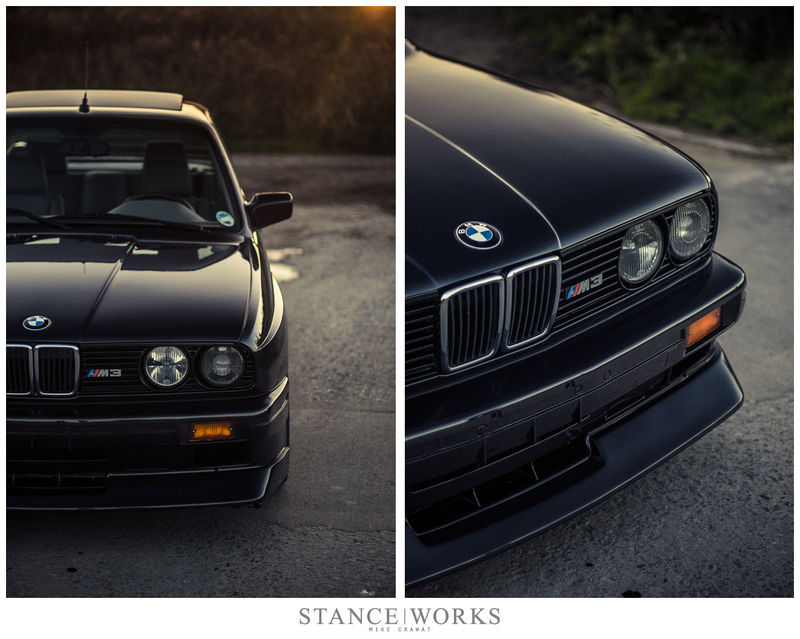 The fact that it’s one of 500 limited editions and an E30 M3 in stock condition makes it quite rare on it’s own, I think. And another one will be ready in a year in our workshop.